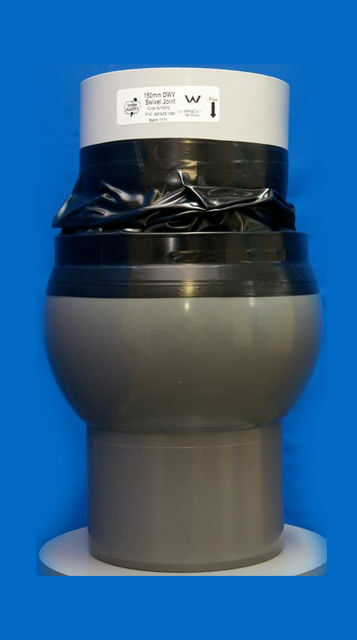 The swivel expansion joint is an F&M flexible sewer/PVC "knuckle" joint capable of rotating + or - 15º from its axis, combined with the longitudinal expansion, allows stress free installation while at the same time providing flexibility at normally fixed positions to compensate for natural movement of the soil. Wrapped in a water proofing membrane with copper sulphate to deter root intrusion. The swivel joint will alleviate breakage of pipe line at foundation level and at inlet and outlet of all tank systems. 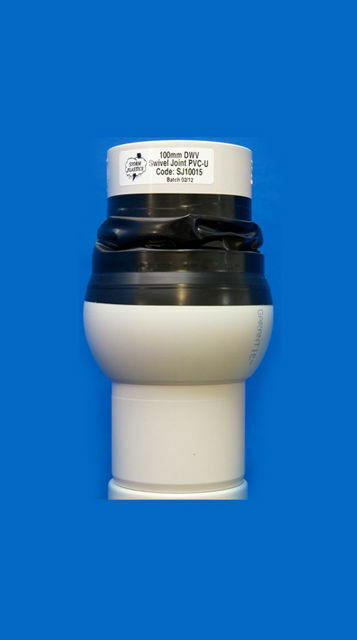 For use in underground Sewer and Storm water drains, available in 100 mm, 150 mm and 225 mm pipe sizes. 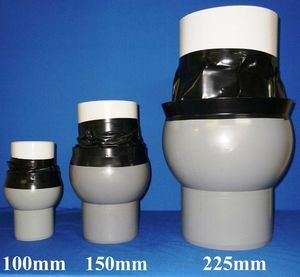 Swivel Combo Joints used in underground Sewer and Storm water drains when space is an issue, the Swivel Combo fittings are only available in 100 mm pipe size. A standard Swivel already has 50 mm movement, these Combo fittings have an extra 50 mm now totaling 100 mm of travel or Expansion. Perfect fitting to be installed anywhere that creep or land slip may be present or a large amount of settlement to occur over time. Units made to order as per customers requirements with up to 500 mm movement. Comes in 3 configurations which allows approx + / - 15 - 30 º rotation either end and various expansion travel. Contact your nearest plumbing supplier or Storm Plastics for technical advise. Don't say "No it is not available". If you or your customer cannot find that one off item, email or call Storm Plastics. 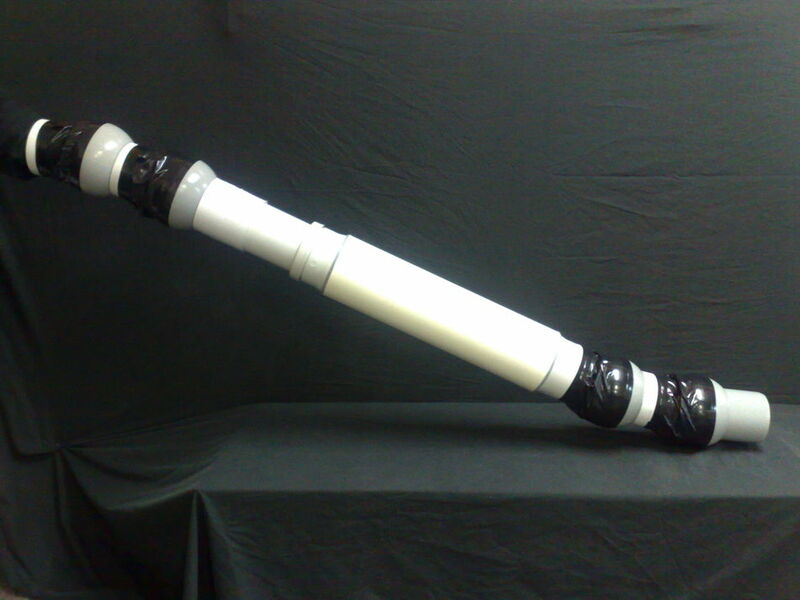 Our creative team can cut, bend, fold, weld up and make almost anything out of pipe or flat plastic.